Purplebricks introduces a market-variant flat seller fee, which will only be charged upon successful home sale. This change supports continued growth while maintaining a consumer-friendly fixed-fee structure well below the national 5-6% average commission rate. Consult our homepage for details. The Wall Street Journal featured a Purplebricks listing in Orange County as the “House of the Day.” This $4.6 million custom estate is located in the prestigious Lemon Heights neighborhood of North Tustin. Unique features include a library, screening room, yoga room and space for 16 vehicles. Purplebricks CEO Eric Eckardt was a guest on KNBC’s “Money Matters.” He discussed how Purplebricks, the next generation real estate agency, makes the process of buying and selling a home more convenient, transparent and cost effective, saving people potentially thousands. 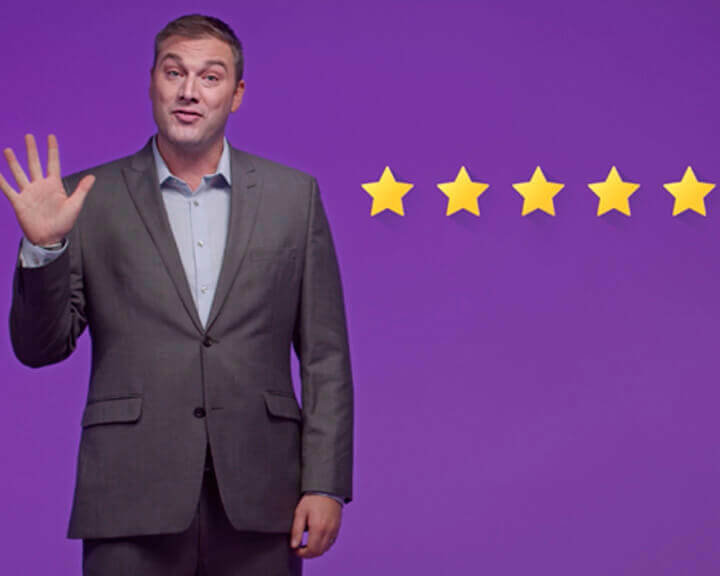 Purplebricks has secured a growth equity investment of $177 million from Axel Springer SE, Europe’s leading digital publisher, with $71 million of the proceeds being used to fuel Purplebricks’ growth in the U.S. The company officially launches in the New York DMA on April 3, 2018, three months ahead of schedule. “Purplebricks - Your Questions Answered” is a video series on the Purplebricks USA YouTube channel, focused on answering the common questions people have about Purplebricks.